Named a Gartner Cool Vendor, Demandbase is the leader in Account-Based Marketing (ABM). The company offers the only Artificial Intelligence-enabled, comprehensive ABM platform that spans Advertising, Marketing, Sales, and Analytics. Enterprise leaders and high-growth companies such as Accenture, Adobe, DocuSign, GE, Grainger, Salesforce and others use Demandbase to drive their ABM strategy and maximize their marketing performance. Leveraging Spot in Dev, but what about Production? Demandbase, as a fast-growing company with many new features and product releases, always had an eye on their costs. “Our team knew that cloud costs could quickly get out of hand,” said Josh Schlanger, VP of DevOps at Demandbase. As part of their cost optimization efforts, Schlanger and his team were already running some of their development and staging workloads on Spot Instances. While the theory behind leveraging Spot for development environments was clear, it was far more challenging in practice “our dev team wasn’t as effective as they could have been.” said Schlanger. Leveraging Spot Instances for production environments wasn’t even considered. Micheal Waltz and Rafael Moreira, DevOps engineers at Demandbase, first encountered Spotinst at AWS re:Invent 2016. 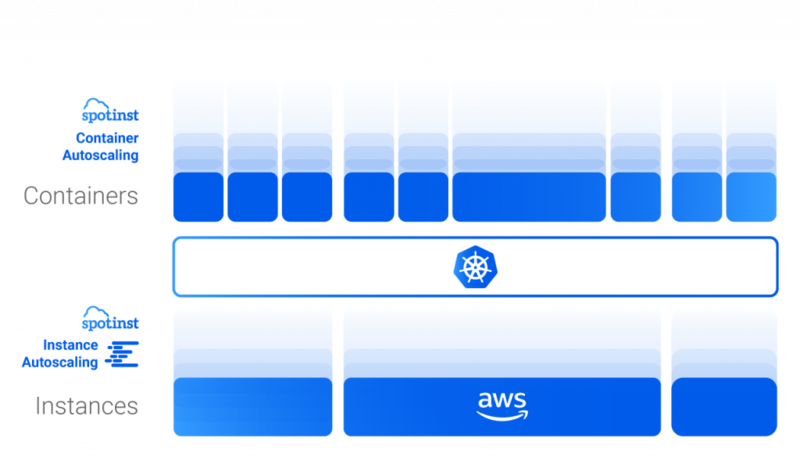 They were impressed by the potential cost savings, but even more exciting was that Spotinst can save them a ton of time as it natively integrates with Kubernetes with Rancher, their container management platform. Containers and microservices were a key element of Demandbase’s approach. With Kubernetes managing all of their containers, Spotinst’s integration was key. Spotinst removes the pain of leveraging Spot for staging environment and Production! Shortly after learning of Spotinst’s integration, they decided to give it a go, initially viewing it as a solution to the difficulties they had experienced with Spot interruptions for development environments. “After rolling it through once on our dev environment, we saw the results and were very excited,” Schlanger said. A few months later, Demandbase rolled Spotinst out for production workloads, a use-case for Spot that Demandbase’s team hadn’t previously considered. Additionally, the Jenkins CI/CD integration proved valuable in simplifying the process of ramping up their Spotinst workloads. As their usage continued to grow, the incredible level of support was invaluable, said Schlanger. “Anytime we had a tiny issue or a feature request, the team has been so quick to respond, sometimes implementing a new feature within just a few days.” And their usage grew pretty quickly, 10x’ing their Spot workloads within less than a year’s time. There were three main draws to Spotinst as the cost-optimization platform of choice for Demandbase. 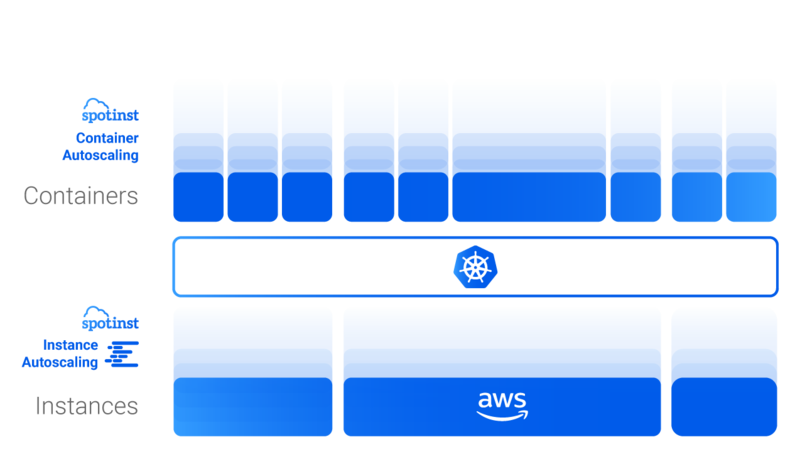 Demandbase is looking to ramp up their Kubernetes usage in 2018 and is planning to rely on Spotinst to manage this roll-out with ease by leveraging Spotinst’s Kubernetes autoscaler. Additionally, Demandbase is evaluating Spotinst’s Multai Load-Balancer and Spotinst Functions because of their confidence level in other Spotinst solutions. Initially, they are excited about getting greater visibility into their Load Balancer via MLB and using Serverless Compute to drastically lower costs for web services.